So many places! So many feels! 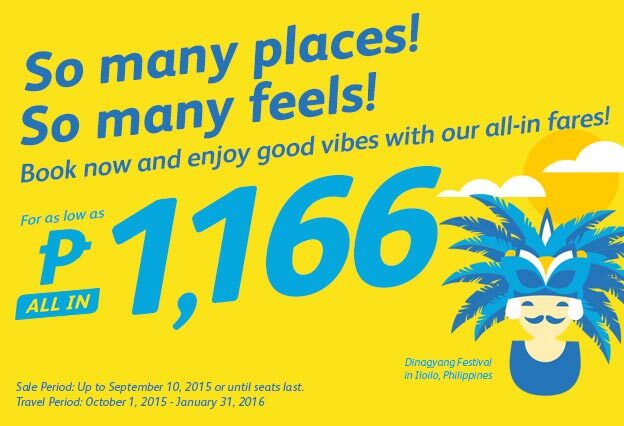 Book now and enjoy good vibes with our all-in fares! For as low as P 1,166 All In. Sale Period: Up to September 10, 2015 or until seats last. Travel Period: October 1, 2015 to January 31, 2016.